Curried Ducks. Sweat down in a pan sufficient sage and onions with a lump of fresh butter. when done put it in a duck and Roast it until three parts done cut it up and take out the stuffing and mix it with a curry the same as for chicken rub all through a fine seive, boil, scum & serve in rice. 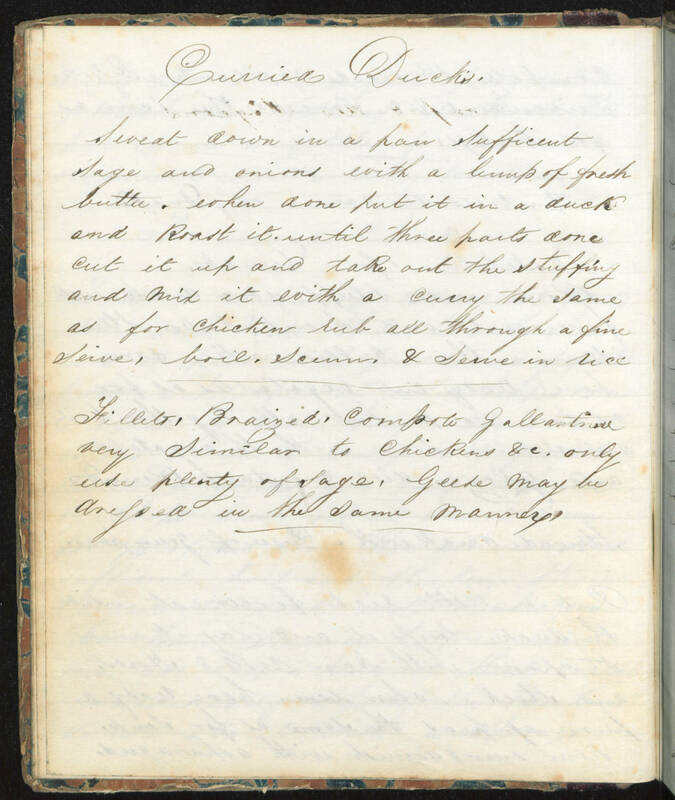 Fillets, Braized, Compote Gallantine very Similar to Chickens &c only use plenty of sage. Geese may be dressed in the same manners.